“I don't do many Yelp Reviews but felt compelled to do this one. I've done a lot of my own auto repairs for years. My wives 4 year old car with only 41,000 easy miles on it burned out the automatic transmission on the interstate for no reason, 1 year and 5,000 out of warranty. The fluids were full etc, likely a factory defect. Many automatic transmission repair place are rip offs. 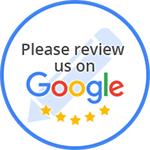 I checked Yelp and found Love Field Automotive had 50 great reviews but don't do major transmission repairs. I called Randy there and asked for a referral. He said they have sent major transmission repairs to C & R Transmissions in Oak Cliff for 20+ years and to ask for the owner Rick. I called Rick and had AAA Texas tow the car there (AAA Texas did a great job also; 20 minutes to get to us). Rick told me what he thought was wrong, quoted me a fee of $1,350 plus tax, and said it would take likely 3-5 days. This is a family owned business since the 60's.